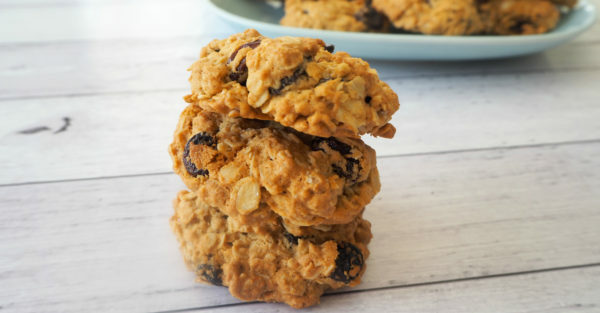 For a filling and yummy snack, you can’t go past this oat and raisin biscuit recipe! Prepare the biscuit mixture up to a day in advance (making these great to serve at a party). They will then keep for up to one week in an airtight container, or you can also freeze them to enjoy another time. This is also a great recipe to make with kids as they will love helping you add the ingredients, stir and roll the biscuits too. Step 1. 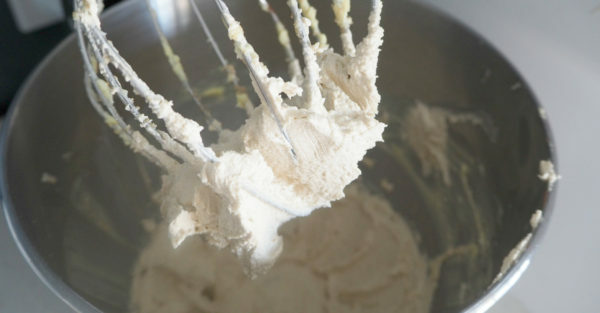 Place the softened butter into the bowl with the electric mixer and add the brown sugar and caster sugar. Mix on a high speed until light and fluffy. Step 2. Add the milk, vanilla extract and egg and mix on a medium speed to combine. Step 3. Add the flour, cinnamon, bicarbonate of soda, baking powder and mix on a medium speed until the ingredients have just combined. Step 4. 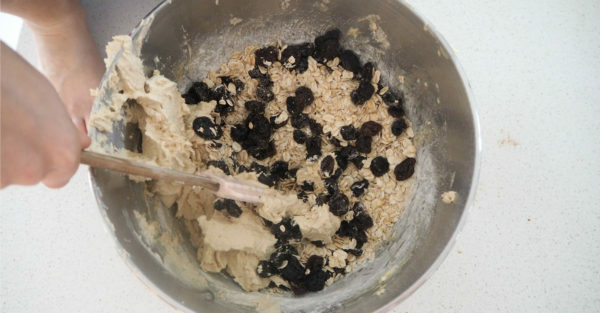 Remove the bowl from the mixer stand and add the rolled oats and raisins and stir with a large spoon to combine. Place the mixture into the fridge to chill for 30 minutes. Step 5. Preheat your oven to 180°C and line two trays with baking paper. Step 6. 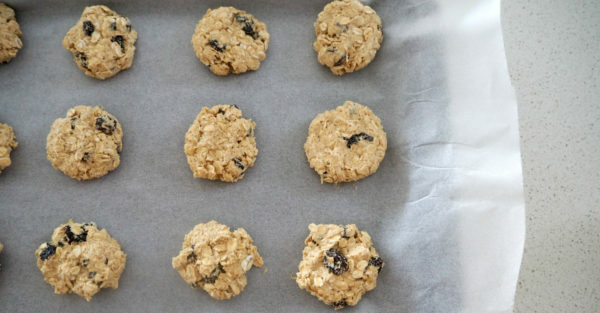 Use a tablespoon to scoop up the biscuit mixture and roll it into balls before placing onto the prepared baking trays. 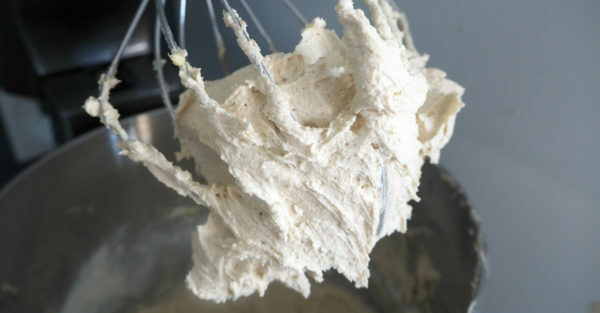 Gently flatten the top of the biscuit before repeating until all the mixture has been used. Step 7. Place the baking trays into your oven and cook for 12 – 15 minutes or until the biscuits begin to turn golden on top. Carefully remove from the oven and let the biscuits cool for 5 minutes on the trays before transferring them to a wire rack to cool completely.